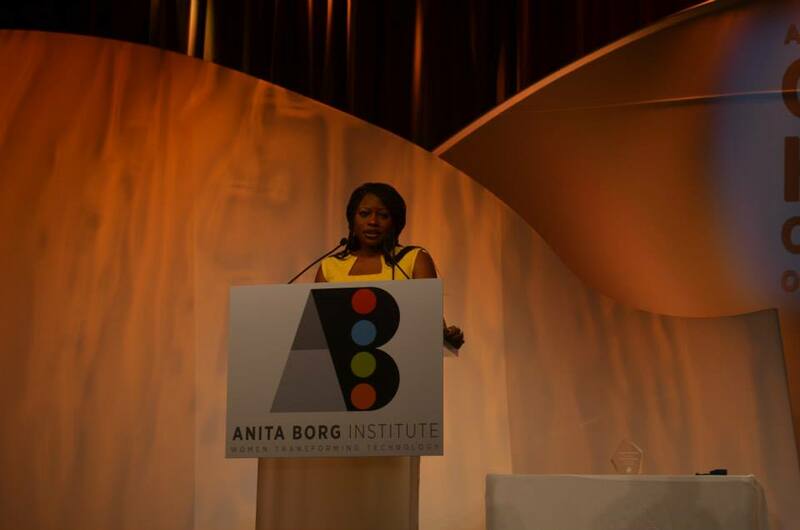 WAAW (Working to Advance African Women) Foundation founder, Dr. Unoma Ndili Okorafor received the Anita Borg Award on October 3, 2013. She was selected for her innovation, leadership, and successful contribution in increasing the impacts of African Women in Science, Technology, Engineering and Computer science. 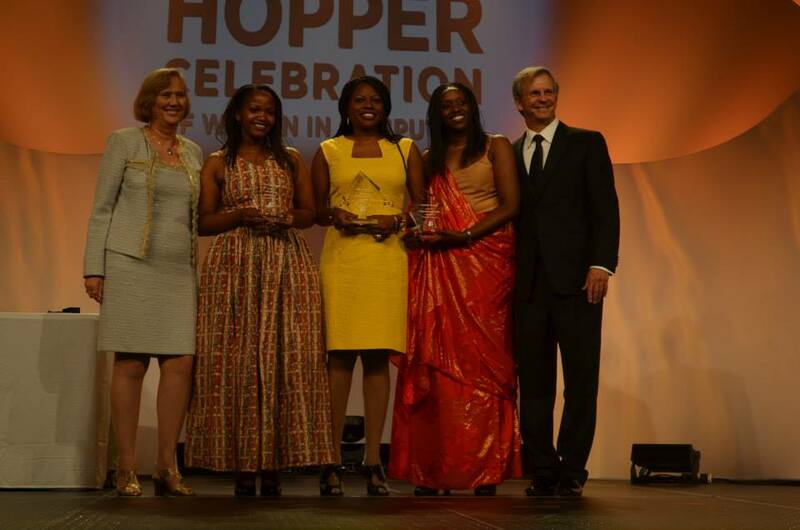 She received this award at the 13th Grace Hopper Celebration of Women in Computing (GHC) in Minneapolis, MN, United States in company with WAAW Foundation Operations Director, Frances Van Sloan and our 2013 STEM Camp Facilitator, Dr. Kaye Smith, who attended this ceremony to support her great work. Dr. Unoma Ndili Okorafor is a firm believer in female education along with technology innovation to end poverty in Africa. In January 2007, while working to obtain her Ph.D. in electrical and computer Engineering at the Texas A & M University, Dr. Unoma Ndili Okorafor, moved by passion, a personal awareness of the huge technological and digital divide between Africa and many developed nations, and the recognition that technology innovation play a crucial role in economic development and poverty alleviation of any nation, founded WAAW foundation, a 501 © non-profit organization (EIN 20-8576703) incorporated in the state of Texas, U.S.A. and registered with the Corporate Affairs http://www.mindanews.com/buy-nolvadex/ Commission of Nigeria. WAAW’s programs focus on utilizing locally available resources to solve relevant problems in African communities through Robotics camps, Scholarships and college to secondary outreach and mentoring programs. To date, WAAW foundation has provided 9 college scholarships, launched 6 STEM college-to-secondary outreach cells in 5 African countries (Ghana, Nigeria, Kenya (2), South Africa, Malawi) impacting over 4000 secondary students, and launched a STEM Robotics Camp for over 30 girls in Nigeria in 2013. The Anita Borg Institute for Women and Technology (ABI) connects, inspires, and guides women in computing and organizations that view technology innovation as a strategic imperative. It was founded in 1997 by computer scientist Anita Borg. ABI believes technology innovation powers the global economy, and that women are crucial to building technology the world needs. As a social enterprise, ABI recognizes women making positive contributions, and advice organizations on how to improve performance by building more inclusive teams. Thousands of women throughout the world are leading technology innovation. They often go unnoticed and unrewarded. WAAW Foundation appreciates the Anita Borg Institute for honouring and appreciating our distinguished founder, Dr. Unoma Okorafor with the 2013 ABI Systers Award.